Russian Defense Ministry is in favor of a mutually respectful dialogue with NATO. The Russian Defense Ministry is in favor of a mutually respectful dialogue with NATO, Russian Deputy Defense Minister Anatoly Antonov told reporters. "We are interested in military cooperation with NATO countries to the same extent as our colleagues from the alliance's member states. We are not ready to cooperate only in issues that represent the interest for NATO states," Antonov said. 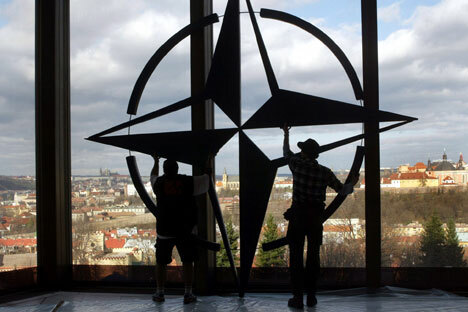 "In our future conversation with NATO, we will not leave without attention the negative impact of the bloc's actions on the capability of maintaining global and regional security," he said. "I mean the placement of the U.S. missile defense shield's components in Europe, the Asia-Pacific region and the Middle East, the practical implementation of the 'global strike' concept, the deployment of strategic non-nuclear high-precision weapons systems, as well as the prospects of placing weapons in outer space," Antonov said.